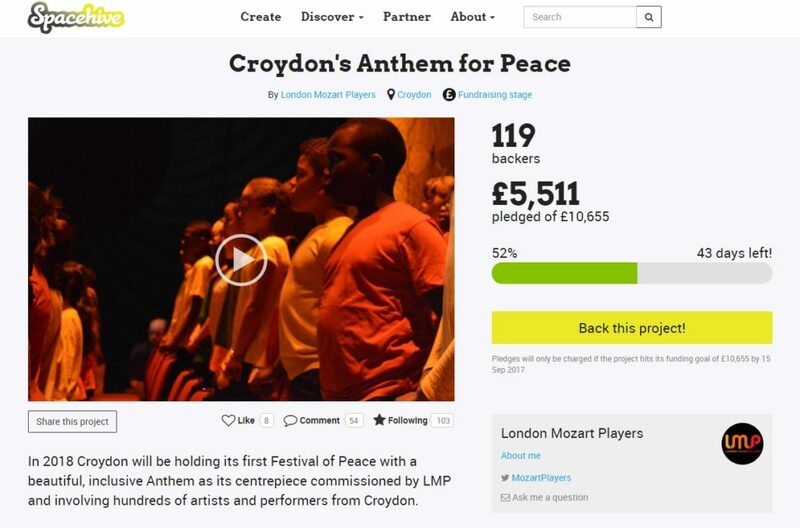 LMP are delighted to announce that they have achieved over 50% of their crowdfunding campaign with the help of match funding from the Mayor of London. A pledge of £1,000.00 from the Mayor, has meant that LMP have reached £5,511.00 of their £10,655.00 target, with a deadline of 15 September to achieve the full amount to make this project possible. Thank you to the Mayor of London, and of course to everyone who has pledged so far to bring us to our current total. 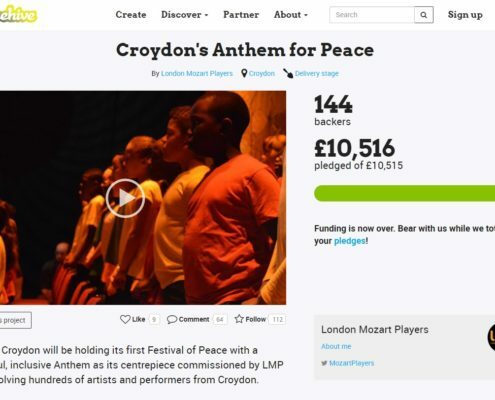 We hope you are as excited as us that The Anthem will be launched in our home in Croydon as part of the first annual Croydon Festival of Peace and with the involvement of schools, choirs and community groups from across the Borough. 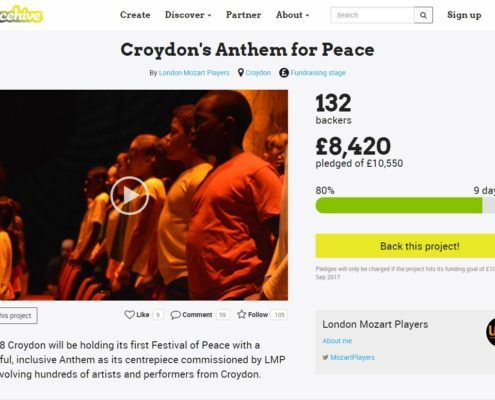 We’ve always been proud to fly a flag for Croydon, and with global aspirations for The Anthem for Peace, this is a project you definitely want to be involved in from the start, so please give and encourage others to do so too! 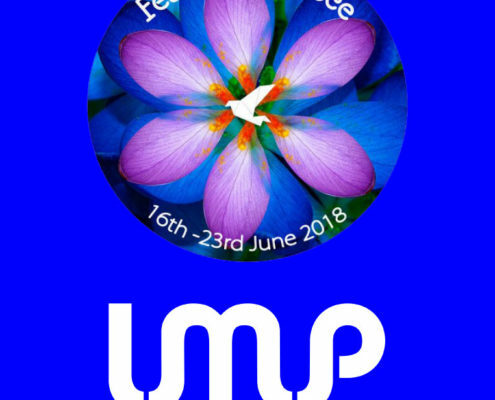 If you haven’t already, see what Sheku Kanneh-Mason, Howard Shelley and LMP’s Ruth Rogers said about peace and what it means to them. http://londonmozartplayers.com/wp-content/uploads/2017/09/Spacehive-100.jpg 812 1204 Jenny Brady http://londonmozartplayers.com/wp-content/uploads/2018/09/LMP-70-logo-header-127.png Jenny Brady2017-09-12 16:12:212017-09-12 16:12:32Anthem For Peace: Crowdfunder target achieved!